Positive: Fast fingerprint sensor; good cameras; decent speakers. Negative: Unsupport waterproof; short battery life. Positive: Excellent display; good hardware; flexible fingerprint sensor; high autonomy; quick charge. Negative: Heavy and bulky; unsupport dual sim; high price. Positive: Good cameras; slim size; great built quality; fast system. Positive: Excellent display; good hardware; long battery life. Positive: Good cameras; nice design; decent hardware. Negative: Low autonomy. Positive: Decent cameras; good ergonomy; high performance; nice design; good speakers. Negative: Poor display; overheats while using. Positive: Elegant design; great built quality; good main camera; nice display; fast fingerprint sensor. Negative: Many bloatwares; poor selfie camera. Positive: Solid workmanship; fast fingerprint sensor; powerful hardware; good cameras. Negative: Poor display; short battery life. Positive: Excellent battery life; powerful hardware; high performance; premium design; solid workmanship; fast fingerprint sensor; large screen; nice display. Positive: Decent cameras; good hardware; nice performance; nice speakers. Negative: High price. Positive: Decent hardware; good cameras. Negative: Mediocre design. Positive: Nice design; long battery life; fast charge; decent performance. Negative: Poor display. Positive: Long battery life; attractive design; nice display. Positive: Good cameras; nice design; solid workmanship. Negative: Short battery life. Positive: Excellent cameras. Negative: Mediocre design; short battery life. Positive: Excellent cameras; fast system; beautiful design. Negative: Low autonomy. Positive: Nice screen; high performance; long battery life; fast charging; flexible fingerprint sensor. Negative: Relatively high price. Positive: Good built quality; high performance; long battery life. Positive: Compact size; decent cameras; good connectivity. Positive: Excellent cameras; good connectivity. Positive: Nice design; long battery life; quick charge; high performance. Negative: Unsupport waterproof; poor display; mediocre speakers. Positive: Good cameras; decent hardware; nice performance; good speakers. Negative: High price. Positive: Metal case; solid workmanship; high performance; good screen; excellent cameras. Negative: Sim and microSD are on the same slot; low autonomy; high price. Positive: Nice dual cameras; large screen; nice display; long battery life. Negative: Sim and microSD are on the same slot. Positive: Nice cameras; solid workmanship; elegant design. Positive: Stylish design; good cameras; decent hardware; long battery life. Positive: Stylish design; metal case; nice display; long battery life; fast fingerprint sensor; high performance; decent cameras. Positive: Nice design; good cameras; solid workmanship. Negative: Short battery life. Positive: Nice display; solid workmanship; beautiful design; decent hardware. Negative: Short battery life. The Huawei P10 Plus was one of the headliners at the MWC. It is also Huawei’s best phone to date. The smartphone is built to redefine modern portraiture through the lens of the Huawei P10 Plus, so the camera of the phone is the main attraction. The camera of the Huawei P10 Plus is the same unit used in the Huawei Mate 9; the Leica Dual Camera 2.0 Pro Edition carries two SUMMILUX-H lenses with a larger aperture (f/1.8). The result of it is 4K shooting, 20MP+12MP sensors, Optical Image Stabilisation and superior low-light photography. The camera also uses precise 3D facial detection, dynamic illumination, and natural portrait enhancements to produce stunning artistic portrait shots in Leica image style. The all new Leica front camera captures 2x more light, offering amazing self-portraits, whether day or night. Huawei P10 Plus even senses groupies and automatically switches to wide-angle shots when more people enter the picture. Huawei has been improving its basic design for some time now, tweaking its formula with every release of new smartphone models. The P-series has been all about perfecting and promoting smartphone craftsmanship and sophisticated elegance. A notable change from the P9 is the placement of the fingerprint sensor. Previously, it sat just below the camera sensors on the rear of the phone; in the P10 Plus, it moves to the front so it can even be unlocked while sitting on a desk. The P10 Plus can be picked up in three distinct finishes. It doesn't only refer to colour. These include Ceramic White, Dazzling Blue, Dazzling Gold, Prestige Gold, Graphite Black, Mystic Silver, Rose Gold, and Greenery. 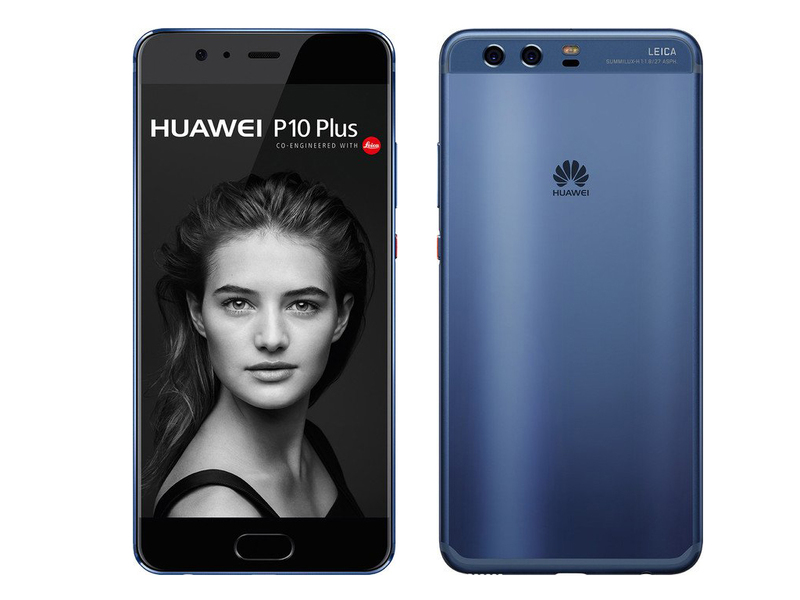 Under the hood, the Huawei P10 Plus uses machine learning and the new ultra-fast Kirin 960 processor to keep the P10 Plus’s performance at the peak of its game. Coupled with HUAWEI Ultra Memory technology that intelligently allocates, recycles, and compresses memory, apps load faster than on its predecessors. It also comes with 6GB of RAM. The phone packs 128GB of internal storage that can be expanded by up to 256GB via a microSD card. 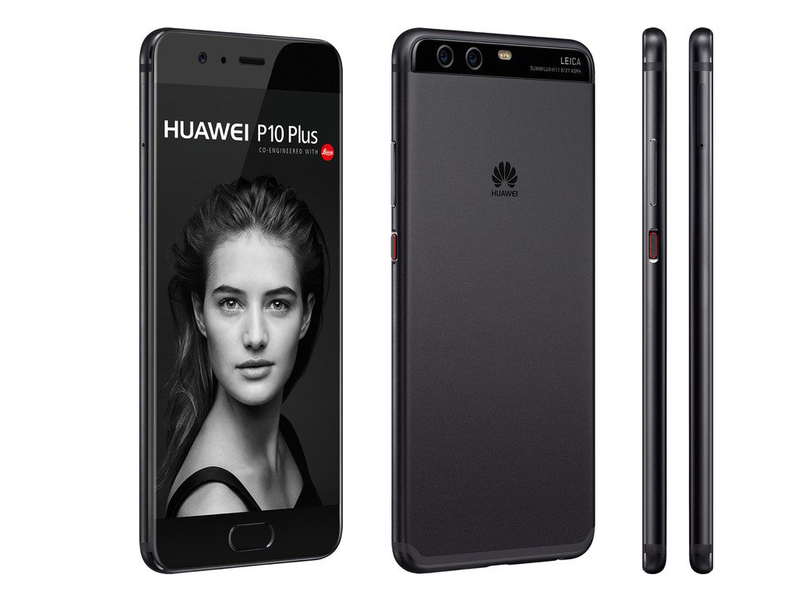 As for the display, the Huawei P10 Plus has a 5.5-inch IPS-NEO LCD panel at a resolution of 1440 x 2560 pixels. At 540ppi, it is definitively sharper than the 1080p P10. Sunlight legibility is pretty good, especially for an LCD. The P10 Plus remains perfectly usable outdoors, which is a strong testament to the second merit of the IPS-NEO panel after the above-average contrast with relatively deep blacks. The Huawei P10 Plus is powered by a sealed 3,750mAh battery. The phone ships with a beefy charger capable of outputting 5V/4.5A, 4.5V/5A, and 5V/2A, with a maximum power of 22.5W. Low voltage ratings also allow all the internal components to remain cool during charging. 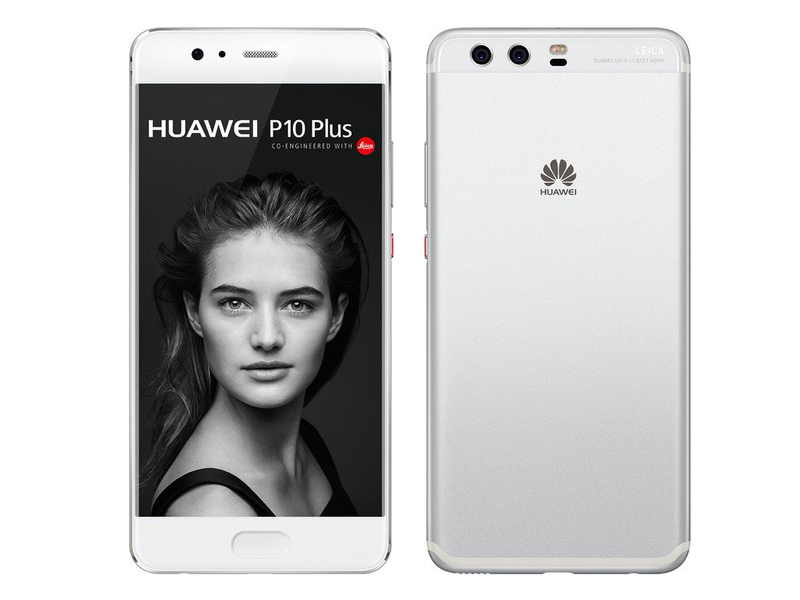 The Huawei P10 Plus is a dual SIM (GSM and GSM) smartphone that accepts two Nano-SIM cards. The P10 plus is a surprisingly powerful and flagship-like phone. It is priced close to the midrange section, but features specs that can match some flagship devices. In some ways, the Huawei P10 Plus is a major competition to their very own Mate 9 Pro. 83.62%: This rating should be considered to be average. This is because the proportion of notebooks which have a higher rating is approximately equal to the proportion which have a lower rating.